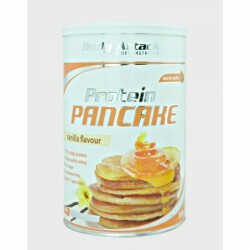 Ready pancake mix: ideal for nutrition rich in proteins for daily use ! High protein and low fat percentage compared to traditional pancakes ! 34g of protein and just 3.4g of fat per 100g ! Recommended dosage: Mix 100g of baking mix with 150ml of cold water ant stir with a hand mixer to get a smooth dough. heat up oil in a pan. Then put in as much dough as you like. Bake the pancake from both sides until it is golden-brown. The new and tasty Body Attack Protein Pancake is especially good for gourmets and athletes who want food rich in protein for daily use. 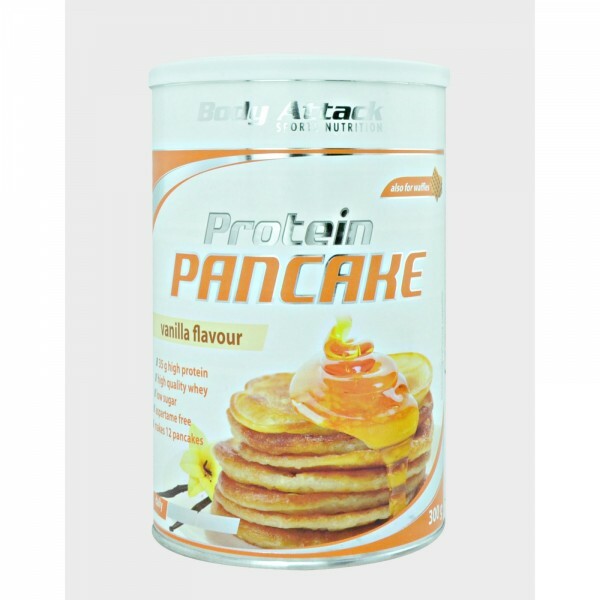 The Body Attack Protein Pancake provides 34g of high-quality whey and hen's egg protein and contains just 3.4g of fat per 100g. A traditional pancake contains just 8g protein and more than 10g of fat - as a rule.